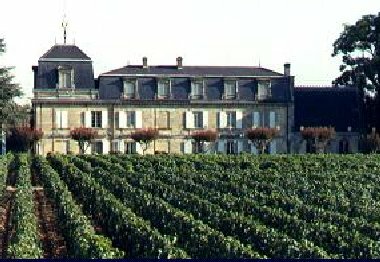 The twin Châteaux of Haut-Brion and La Mission Haut-Brion sit side by side in Pessac-Leognan, in the southern suburbs of the city of Bordeaux. Château Haut-Brion’s red wine is classified as one of the five Premiers Crus, the very expensive elite of Bordeaux. Whilst Château La Mission-Haut-Brion is equally illustrious, it was not included in the famous 1855 classification. The Châteaux are owned by Domaine Clarence Dillon. Dillon was an American banker who lived to be 97, and along the way bought Haut-Brion in 1935, and added La Mission in 1983. Today, both properties are managed by his great grandson, Prince Robert of Luxembourg. Robert tells the story of how he was a fifteen-year-old boy at school in England in 1983, when the call came through from his mother, the Duchess de Mouchy, that he was to return to France for an important event. That event was the purchase by Domaine Clarence Dillon of La Mission Haut-Brion. The family immediately set about a programme to improve and upgrade all aspects of both viticulture and winemaking at La Mission, just as they had done with Haut-Brion, which was the first classed growth estate to install stainless steel vats in 1961. There has been a rigorous replanting and vine research programme, and yields have been cut significantly. After many years in charge of winemaking, Jean-Bernard Delmas handed over to his son, Jean-Philippe at the start of the new millennium. Like his father, Jean-Philippe Delmas was born and raised at Haut-Brion, so is as much custodian of these great estates as he is employee.In May 2008, Prince Robert and Jean-Philippe held a tasting in London to celebrate 25 years of ownership of La Mission Haut-Brion, and I was lucky enough to be invited. This was a simply extraordinary line up of wine shipped from the Château’s cellars, encompassing the years 1929 to 2005. This was proof indeed that La Mission has a great terroir, which imprints on every vintage, no matter how different the conditions. My notes are peppered with words like “incense”, “tobacco” and “exotic spice”, all of which are part of the DNA of this great vineyard. Having rested in the shadows of Haut-Brion for decades, La Mission is now proving to be an equal to the first growths. This is evident in its quality when you taste through recent vintages, but that original 1855 classification was done largely on the prices the wines could command on the open market. The 2005 La Mission is currently selling for a painful £500+ per bottle, whilst the 1929 is a cool £3,500 per bottle, suggesting wine collectors are now voting with their wallets on the quality of this estate. My sincere thanks to Prince Robert of Luxembourg, Jean-Philippe Delmas and to Farr Vintners for arranging this magnificent tasting.